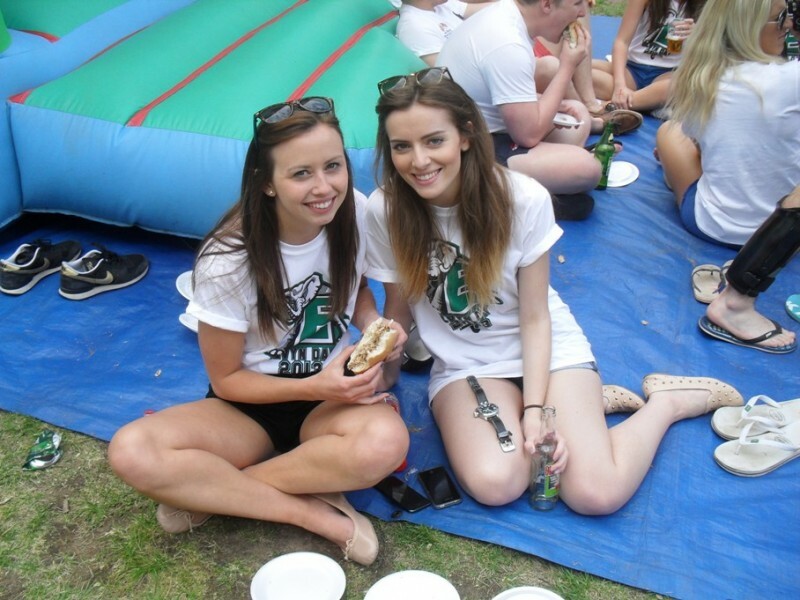 If you’re arranging an event, one sure-fire crowd-pleaser is a succulent hog roast. Here at The Roasting Pig, we’re proud to offer a professional and reliable service that makes us the number one hog roast catering service in the East Midlands. We provide hog roasts in Ashby-De-La-Zouch and surrounding areas, serving a 30 mile radius of our base in Anstey, Leicestershire. You won’t be disappointed when you savour our impressive menu, and neither will your guests, as our fully uniformed chefs serve up your choice of traditional hog roast, lamb, beef, gammon, turkey and rotisserie chickens. Whether it’s a wedding party, a birthday gathering, or a corporate meeting, our variety of packages can be tailored to suit any type of event or budget. Remember to let us know if your guests have any special dietary needs too, as we’re able to cater to all requirements, as well as offering vegetarian options. We also offer a range of finishing touches to make your day as hassle-free as possible, with accompaniments such as sides, sauces and sundries, as well as napkins and cutlery. 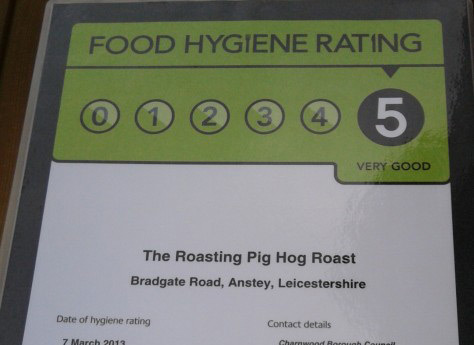 Boasting a five-star hygiene rating, and extensive testimonials from previous customers, you can be sure that we’ll provide a hog roast catering service that’s second to none. 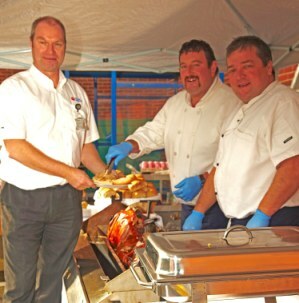 If you’d like to take charge of the cooking yourself, why not cater your event with our hog roast equipment hire option. We can arrange everything you need to get started, from the hog roast oven and gas, to your choice of uncooked meats. With our full extensive range of extras to choose from, all you’ll need to worry about providing is the guests. 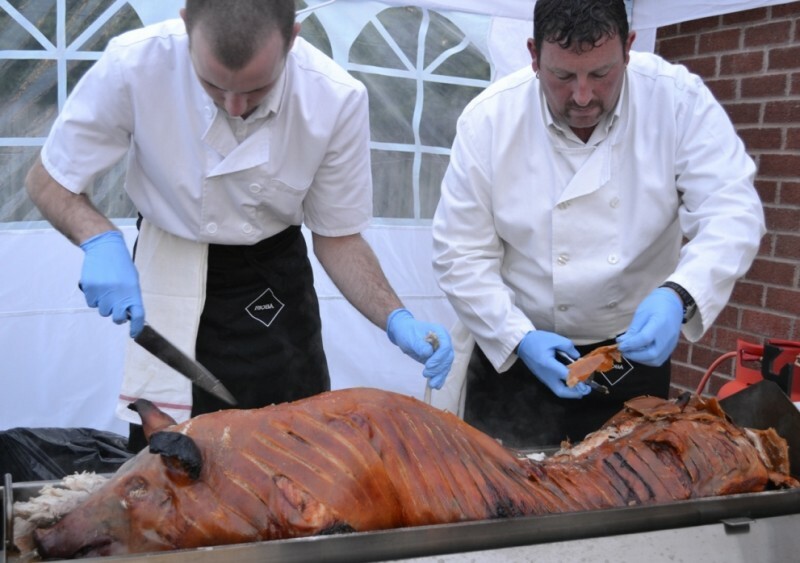 If you’d like to be the chef of your very own hog roast in Ashby-De-La-Zouch, you can do so in confidence, as our hog roast hire service comes with a complete equipment demonstration. Our fully-trained staff are ready to share their expertise with you, to ensure your event is a complete success. For any further information, or to obtain a quote, please call our office today on 0116 212 5259.